Last month Jenny and I attended Main Street Now 2019, the annual Main Street America™ Conference which was held in Seattle. 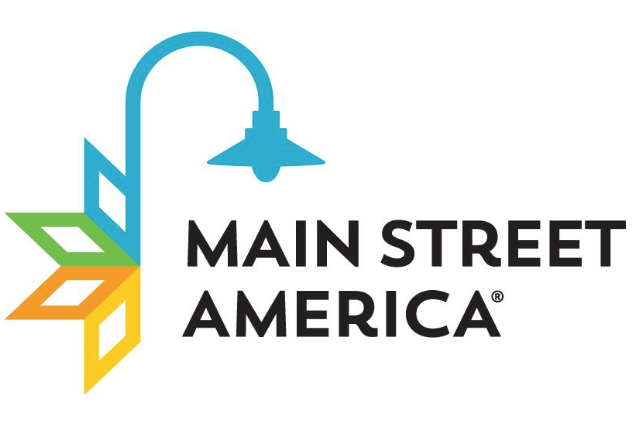 Main Street America is a grassroots network made up of small cities, towns and urban commercial districts that work on preservation based economic development and revitalization. The work of the Main Street America network is increasingly vital for the support of local business communities that are relentlessly decaying in the face of the huge disparity in investment capital between Wall Street and Main Street. One of the unique focuses of the conference this year was the topic of Opportunity Zones. Created by the 2017 Tax Cuts and Jobs Act, the Opportunity Zone program was designed to stimulate private investment in distressed communities throughout the country in exchange for capital gain tax incentives. In June 2018, more than 8700 communities in all 50 states, the District of Columbia, and five U.S. territories were designated as qualified Opportunity Zones and will retain their designation for 10 years. By making an appropriate investment in a zone, private individuals may defer tax on almost any capital gain until 2026 AND pay NO capital gains tax on the investment in the zone. The tax benefits provided for investments in opportunity zones are a welcome addition to the self-directed investment tool we launched last year—Crowdfund Mainstreet. We are working toward building a robust finance ecosystem for the small businesses that create local jobs and preserve local character. Please join us in the movement to fund and grow small businesses throughout the nation by investing in a business on Crowdfund Mainstreet. We hope to offer Opportunity Zone investments on the platform in the near future. If you’re a small business owner looking to raise capital, feel free to schedule a call with us to explore how we can help you. We can also work with you to determine whether you are in an Opportunity Zone and, if so, how you can take advantage of that. It used to be that only men were called entrepreneurs.1 But women have been entrepreneurs for a long time.2 We have opened and run businesses out of necessity, passion, and genius. We’ve had to do it while caring for children and prior to having the right to vote. We started businesses back when we could not take out a loan without a man, and we are still starting businesses while earning 80% of what men earn.3 Maybe we weren’t called entrepreneurs, but we were doing it anyway: because we needed to, because we cared, because we knew we had it in us, or because our ideas were just too good. It’s possible that adding more women to the VC mix could help balance things out.14 But maybe, for those of us who want to build a new economy, this is not the best use of our energy. As Jenny pointed out last month, the VC model is designed to enrich a few wealthy people, and it perpetuates inequality regardless of the identity of the founders that get funded. 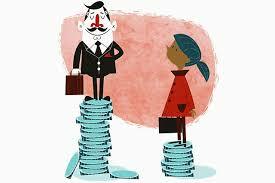 And anyway, until the VCs include more women, assuming that will help, what are women entrepreneurs going to do? They can (a) struggle in silence and bootstrap their businesses (find out what that is and why it’s a problem here); (b) try to act more like men and lean in at meetings with VCs (which might not help much according to Michelle Obama and a bunch of other people);15 or (c) they can get off those treadmills, organize for their common goals, and do something more productive. Women, let’s (c), get organized. Why wait for male VCs to finally decide we are worthy? We—and our mothers and grandmothers—didn’t wait for anyone to tell us we could be entrepreneurs. Invest in women-owned businesses that share our values. Investment crowdfunding platforms are a great place to start. They are easy to browse, and anyone—regardless of wealth—is allowed to invest at least something (there is a weird sliding scale based on income and net worth that you should know about). Check out these female-led, mission-driven companies on Crowdfund Mainstreet. Join investor communities that prioritize women-owned businesses. Angels of Main Street is open to everyone and is a place to learn about investing in mission-driven enterprises and be introduced to companies currently raising capital, including many led by women. Tell other women to do (1) and (2). 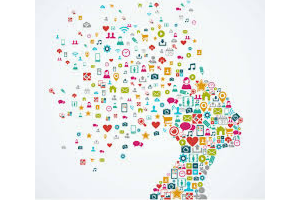 Are you a woman entrepreneur focused on raising capital for your business? 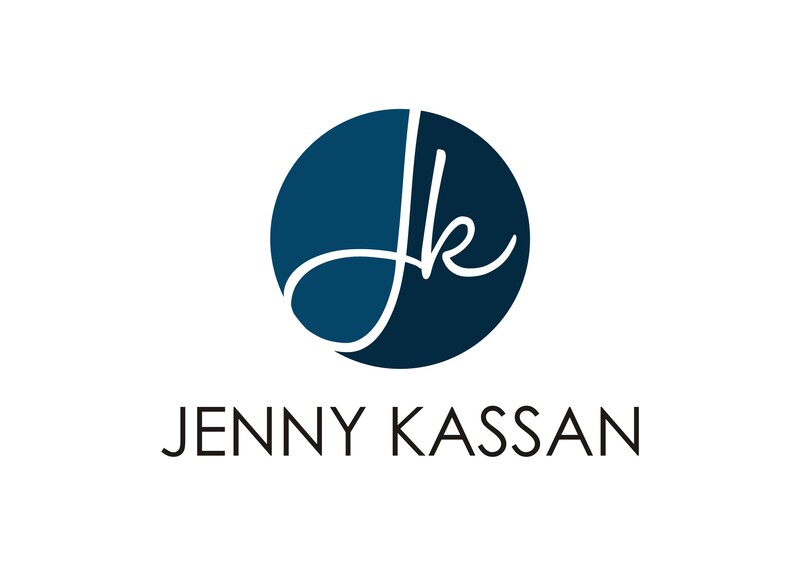 Do you want to connect with legal and capital-raising experts and join a mastermind group of like-minded, badass female founders? Please join us at our July 2019 Retreat—Be A Money Magnet—to step into your power and get the RIGHT funding for your business. 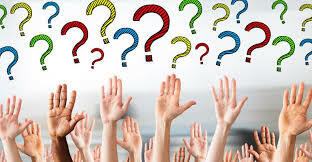 In a recent virtual training, I asked participants to submit their top questions about raising funding from investors. Below is one of the most commonly asked questions. How can I get funded without giving up too much of my business? Many business owners think that if they raise money from investors, they will have to give up a big chunk of ownership and maybe even control of their company. This is a myth! It is absolutely possible to raise money from investors without giving up any ownership at all or giving up an ownership percentage that you feel comfortable with. The reason this is possible is that the return on the investment you offer does not have to be tied to ownership of your company. If the only way an investor can ever get any return is via the sale of your company, then yes, investors will want as big a chunk of ownership as possible. But there are lots of other ways for investors to get paid. The key is to carefully design your investment offering so that it fits with your goals, values, and plans. If you need help designing your offering, please sign up for a complementary financing strategy session. Undercapitalization of businesses owned by people of color exacerbates the racial wealth gap. While a small group of venture capitalists and venture-backed founders—a huge percentage of whom are white, male, and privileged—become increasingly wealthy, the vast majority of small business owners struggle to keep their doors open and deplete their personal savings (if any) in the process. Some will make it, but many will fail due to the lack of sufficient capital. What is the best way to solve this problem? Many suggest that we just need to diversify the venture capital industry. Add people of color, stir, and somehow inequality will start to disappear. If there is a “successful” exit, it makes the wealthy investors even wealthier, and the benefits don’t trickle down to the lower paid employees, much less to the customers or communities that supported the business in its early days. Rather than try to diversify a system that by its very design concentrates wealth in fewer and fewer hands, why not focus our energy on alternatives that have the potential to bring greater wealth to the many and not just the few? Let’s focus on strategies that make it possible for EVERYONE to invest in the businesses they believe in and care about. And let’s design those investments so that investors can get paid without there having to be a unicorn-style exit. If you would like to join the movement to democratize small business investing, please join us at www.AngelsofMainStreet.com. If you’re an entrepreneur who would like to raise capital outside of the venture capital model, please sign up for a strategy session to learn about how this type of funding could fit your business. Will it turn investors off if you tell them about your mission? I’ve talked to many entrepreneurs who have told me they deemphasize the mission of their business when talking to investors. They assume that investors care most about financial returns, and they worry that talking about their mission could get in the way of getting funding. This is a terrible idea! Most investors actually want very much to invest in mission-driven businesses that are values-aligned. If your mission is important to you, you need to say it loud and proud. Furthermore, any investor who does not like the fact that your company is mission-driven is not a good fit for you, and you should not waste time with them. More and more investors are coming to understand that, in the long run, mission-driven businesses are likely to be more profitable and successful. When talking to potential investors, if you sense a lack of values alignment, it’s best to move on. Always seek out investors who are focused on your business’ long-term success, not on making a quick buck. If you stay true to what matters most, you can and will find investors who share your vision and want to support you on your terms. Do you have to give up control of your company if you raise capital? So many of us have heard horror stories of founders giving up control to investors and then being pushed to do things with their business they didn’t want to do or even getting fired from their own company! The good news is that it is absolutely possible to raise money AND maintain control of your business. I’ve been helping clients raise money for over 10 years, and I have never had a client who gave up control to investors! Every business and business owner is unique — ideally, investment terms should be tailored to each situation. Unfortunately, most lawyers and finance professionals are unwilling or unable to be creative. You live and breathe your business, and you have a vision of what the business will look like when it has reached its ideal size and level of impact. This vision is what should inform the terms on which you accept investment. If you accept terms that are dictated by an investor, you risk sacrificing your vision, goals, and values in the name of complying with whatever the legal documents dictate. If you structure the investment offering in a way that reflects what you value most, you will attract investors who support you, believe in your vision, and trust you to lead the business in a healthy and sustainable direction—all while YOU maintain control of YOUR business.